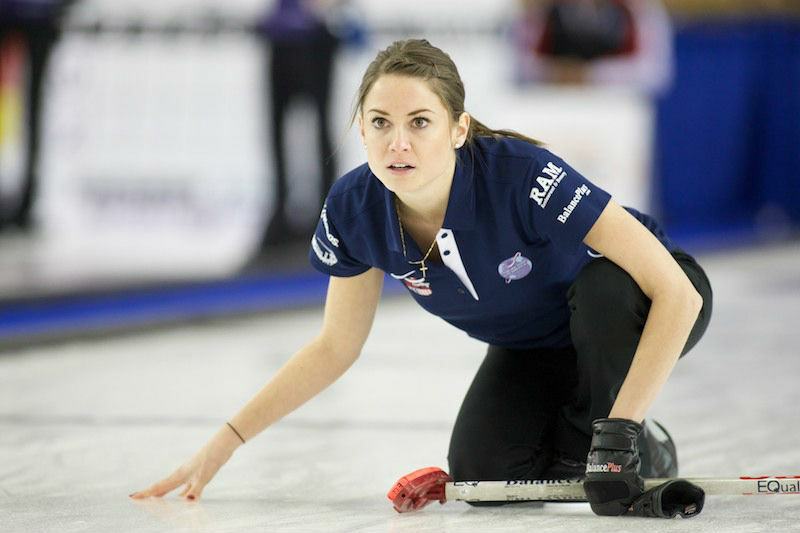 Jamie Sinclair adds another championship layer to USA Curling's already rollercoaster season. TORONTO - In what has been a thrilling ride for USA Curling this season, Jamie Sinclair wrote another historic chapter last night night at the Mattamy Athletic Centre. Playing in her first-ever Grand Slam final, skip Jamie Sinclair ended Team Jennifer Jones' 27-game winning streak and more importantly powered her Minnesota-based rink past past the Canadians 7-2 to win the 2018 Players Championship. The win is also the first Grand Slam title for an American based team. "The feeling of being the first U.S. team to win a Slam is unreal," lead Monica Walker said. "I could not be more proud of our team. We will always be the first U.S. team in history to win and that feels so good." Sinclair was one of the last teams to qualify for the Players' Championship, thanks to their win at the USA Curling Nationals in March. Nationals was a "triple play" of sorts for the Americans, qualifying them not only for the World Championship but also the final two Slams of the season. After a season of near misses, it was a landmark triumph for the squad including second Vicky Persinger, vice Alex Carlson, Walker and Sinclair. Earlier in the 2018-19 season, Team Sinclair lost in the best-of-three finals at the U.S. Olympic Trials snd most recently barely missed the podium for bronze last month at Worlds in North Bay, Ontario. Despite coming up shortly several times, they played well and continued to battle. "This has definitely been a long season full of ups and down," Walker said. "With the loss in the finals of the Trials, then winning Nationals and going to Worlds only to come up short of winning a medal, winning this Slam is just proof that all of our hard work has paid off." However, Sunday night they would not be denied, taking home the title and $30,000 in prize money from arguably the most prestigious Slam on tour. "Everything just seemed to fall into place for us this week," Sinclair said. "We played really well all week and couldn't be more proud of the team for how we worked on and off the ice this week. Everything just seemed to groove really well." Playing without hammer, Team Sinclair got on the board with a steal in the second and then another theft of two huge points in the third. Sinclair's robbery continued in the fourth with another steal of one, giving the Americans a 4-0 advantage before Jones tallied a single in the fifth. The World Champions stole one of their own in the sixth before Sinclair and her teammates slammed on the door on Jones with a triple in the seventh, resulting in handshakes and the championship. "We did not have an easy road to get here," Walker said. "But we beat a lot of really good teams to win this event and are very proud of this championship." That road included a victory over the Olympic gold medalists from PyeongChang Team Hasselborg in the quarterfinals, Switzerland's Silvana Tirinzoni in the semifinals and then Jones in the final. It was the first-ever win for the Canadian-American Sinclair over Jones in five previous meetings. One of three women's teams in USA Curling's High Performance Program, the Sinclair rink will certainly build off what's largely been a successful year despite their heartbreak from the Trials. They won the Shorty Jenkins Classic back in September and had the International Bernese Ladies Cup in hand before letting it slip away late, falling 6-5 in extras to China's Wang Bingyu. They'll likely finish the season ranked in the World Curling Tour's Top 10 overall. Nina Roth's team also had an outstanding season on Tour, providing the U.S. with even more depth on the women's side. They won the U.S. Olympic Trials and came within a game of qualifying for the playoffs at the Winter Olympics. And then in their first competition back since PyeongChang, Team Roth made the playoffs this week at the Players' where they were narrowly defeated 9-8 by Kerri Einarson in the quarterfinals. Both Roth and Sinclair will have the week off before revving back up for the final event and Slam of the season next week in Calgary at the Humpty's Champions Cup. "It's nice to go down in history and hopefully it's just a start," Sinclair said. "Hopefully, we'll start seeing American teams more frequently in the playoffs."